Our relationship with China remains one of the most complex and rapidly evolving, and is perhaps one of the most important to our nation's future. 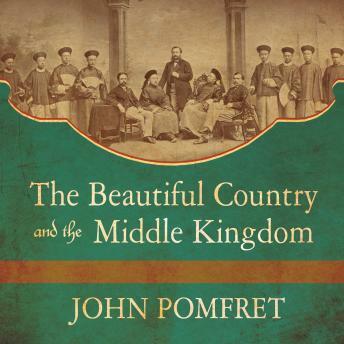 Here, John Pomfret, the author of the bestselling Chinese Lessons, takes us deep into these two countries' shared history, and illuminates in vibrant, stunning detail every major event, relationship, and ongoing development that has affected diplomacy between these two booming, influential nations. We meet early American missionaries and chart their influence in China, and follow a group of young Chinese students who enroll in American universities, eager to soak up Western traditions. We witness firsthand major and devastating events like the Boxer Rebellion, and the rise of Mao. We examine both nations' involvement in world events, such as World War I and II. Pomfret takes the myriad historical milestones of two of the world's most powerful nations and turns them into one fluid, fascinating story, leaving us with a nuanced understanding of where these two nations stand in relation to one another, and the rest of the world.